Offering Fly-In Adventures in Ontario's North. Fly into your very own moose hunting territory for a 10 day hunt. Outpost camps will keep you comfortable and ready for stocking the majestic Canadian moose. Most hunts are self guided. 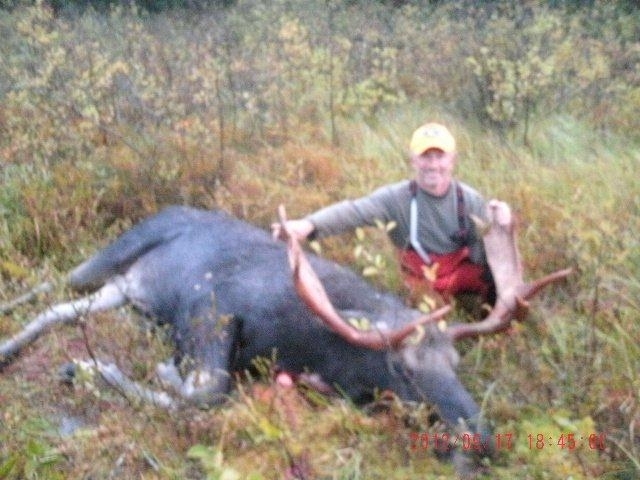 Local guides are available upon request which can help with the hard work a moose hunt brings. Fly-in Moose Hunts are officially started – First bull flown out yesterday. Proud hunter from Ottawa Ontario. Our moose hunting season has started and our first successful hunters in Martison lake are surely all smiles as the DeHavilland Turbo beaver flies away with their nice bull moose. Autumn is here and there are signs of a new season. Leaves are changing, mornings are cold…perfect moose hunting! 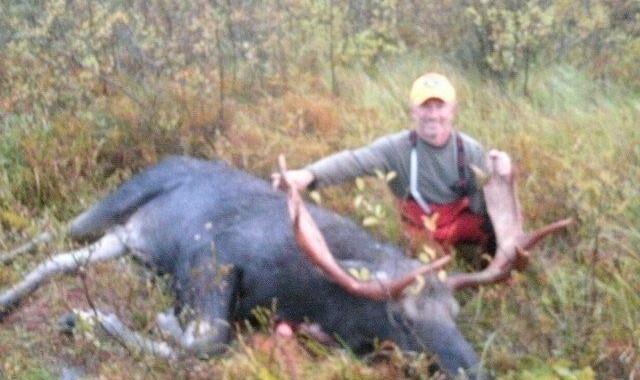 Moose hunting trips can be booked ahead of time for the following year. if you call us now, we can give you an idea of availability for 2013 but our present hunters will have first pick at returning to their favorite locations. – RESIDENT HUNTERS – please make sure you have your moose licences and seals with you. Many Ontario residents have not received their seals from the MNR. Please make sure you call into your local office prior to your trip. We will not be able to issue your tag without it. – NON-RESIDENT HUNTERS – Moose hunting and fishing licences can be purchased online if you already have your outdoor cards. If you need assistance, please do not hesitate to call in. We will be glad to help you get ready prior to your arrival.